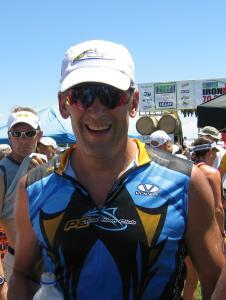 Beginner triathletes, older athletes, weight loss, general health and fitness. Personal Training either in-home or at Infinity Personal Training and Fitness (a private personal training gym) at $75/hour. Fitness and lifestyle online coaching starting at $100/month.Triathlon and multisport coaching starting at $150/month. Steve is an experienced amateur endurance athlete, having successfully competed in three Ironman triathlons, including Ironman Hawaii. His athletic resume also includes numerous other endurance events, such as XTerra off-road triathlons, the Triple Bypass , and the Pikes Peak Ascent and Marathon. In addition to his certification from ACE as a Personal Trainer, Steve also holds coaching certifications from USA Triathlon and USA Cycling. Success. Coach Steve Shumway has been notified of your message.